Time to explore the world's most unconventional lodging options. Most of us travel to break away from the typical day-to-day, in order to explore and experience new things. 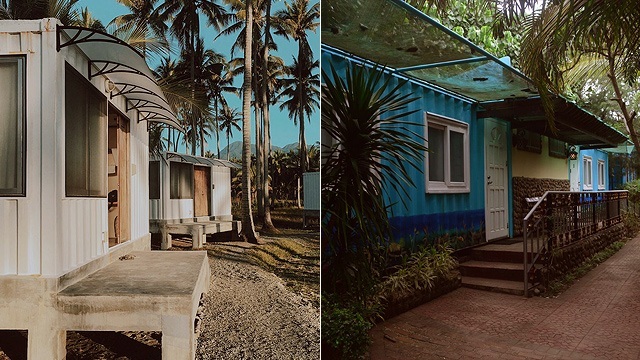 Why not take a step further and book an otherworldly hotel to escape the familiar altogether? Below, we round up the most extraordinary and downright bizarre hotels that we could find. Icehotel is rebuilt from ice and snow every winter, as the hotel melts away during the summer. Inside, there are 150 warm beds and 150 cold beds, an ice church, ice bar, and ice sculpting studio. The ceilings are decorated with ice chandeliers made from thousands of hand-cut crystals. While there are heated rooms such as the heated restaurant, the average temperature is -5 degrees Celsius indoors and ranges between 20 and -40 degrees Celsius outdoors, depending on the season. Possibly the most bizarre entry on this list, the Henna-na Hotel group in Japan is paving the way for the future of the hospitality industry. It prides on being the world's first hotel group run by robots. Guests are checked in by either a robot woman or a mechanic raptor. Everything from the thermostat to the coat-check is controlled by advanced robotic technology that the hotel group's website claims "these fun moments with the robots will warm your heart." If your idea of a vacation is to escape and avoid interaction, then No Man's Fort offers a secluded 24-hour stay in the middle of the sea. Some guests opt to pop in for lunch, while others who extend their stay sail in and have a drink at one of the five bars or catch a show at the cabaret club. For the nomadic traveler, the experience of tracing one's roots doesn't get more authentic than in the Sassi quarters of Matera, a World Heritage Site that's been around since the middle ages. Le Grotte della Civita is nestled in the heart of Matera and offers 18 preserved caves for travelers to experience. Named by cave number, each room showcases modest living quarters furnished with wood. The suites feature novel fixtures such as stone sinks and fireplaces. A natural preserving and flavoring agent, salt is good for many things, and apparently, for building entire hotels, too. Palacio de Sal is a magnificent structure on the banks of the Salar de Uyuni in Bolivia made of salt—from its walls, floors, and ceilings. The sound of a hotel made of salt might sound iffy, but the lodging itself is not shabby at all. Instead of waiting to see the Northern Lights out in the winter cold, make it more fun (and romantic) through Kakslauttanen's glass igloos. While the aurora borealis is visible for eight months of the year, the best time to see the phenomenon is during autumn. L'Albereta has a lot to offer its guests, from its enchanting vine-covered facade to its miles of vineyards. 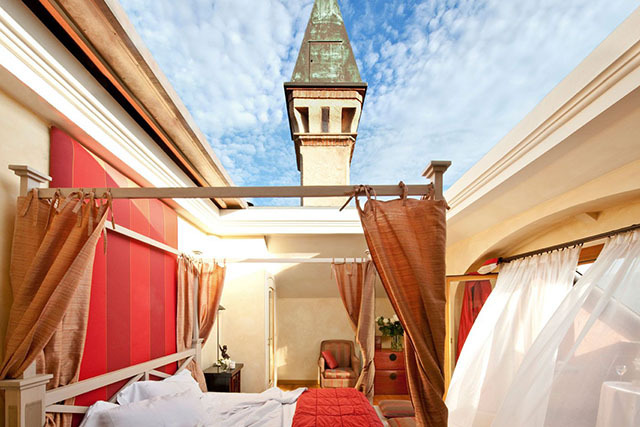 But one feature that makes this accommodation even more special is its open-air bedroom with a retractable ceiling. 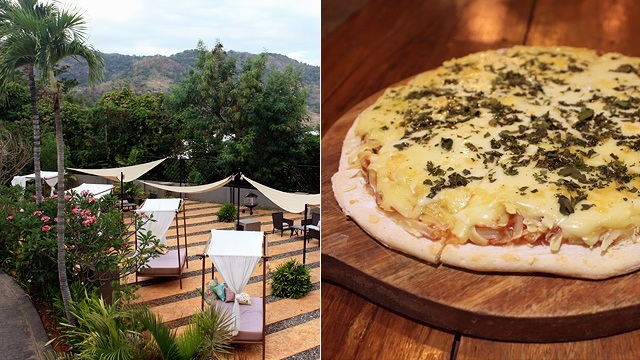 It's become a popular destination for both popping the question and hosting a wedding party. This brick in-laid hotel may not seem very special but its history as the former Charles Street Jail, which dates back to 1851, gives it its flair. The interiors have stunningly been transformed to reflect a contemporary style. 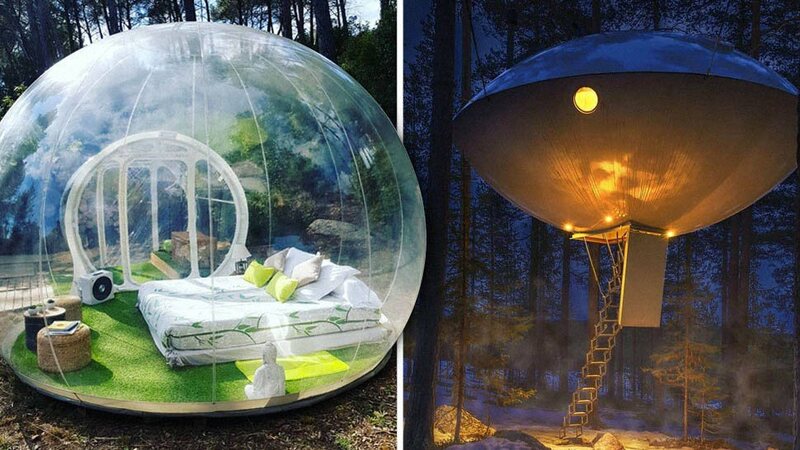 Living in your own bubble isn't necessarily a bad thing, and the Attrap'Reves plays on that idiomatic expression by offering hotel rooms in a bubble-like dome. The bubbles come with different furnishings, and interestingly, each bubble offers a panoramic view of the sky so guests can spend a romantic night gazing at the stars. Sci-fi lovers will get a kick out of the TreeHotel's futuristic and alien craft-like Mirrorcube accommodations. Despite its name suggesting a treehouse, TreeHotel pushes the boundaries of human imagination and offers a unique setting in the middle of the snowy Swedish wood. Each of its treehouses—if you could call them that—take various forms. There's the bird's nest, which resembles a giant bird's nest covered in sticks; the Mirrorcube, with exteriors consisting of mirrors; and the UFO, which, well, reimagines what a spacecraft looks like.